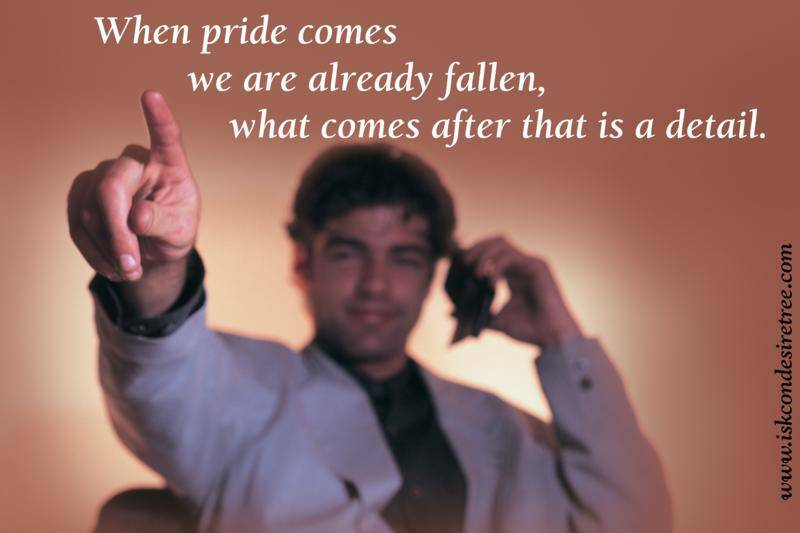 When pride comes we are already fallen, what comes after that is a detail. The man who is puffed up with his material position and does not bow down before the Deity of the Lord, must know that his so-called turban or crown will only succeed in further drowning him in the water of the ocean of material existence. Due to false ego & selfish disposition we find everyone as potential enemy. If you become conscious of Me (Lord Krishna), you will pass over all the obstacles of conditioned life by My (Krishna’s) grace. If, however, you do not work in such consciousness, but act through false ego, not hearing Me, you will be lost. 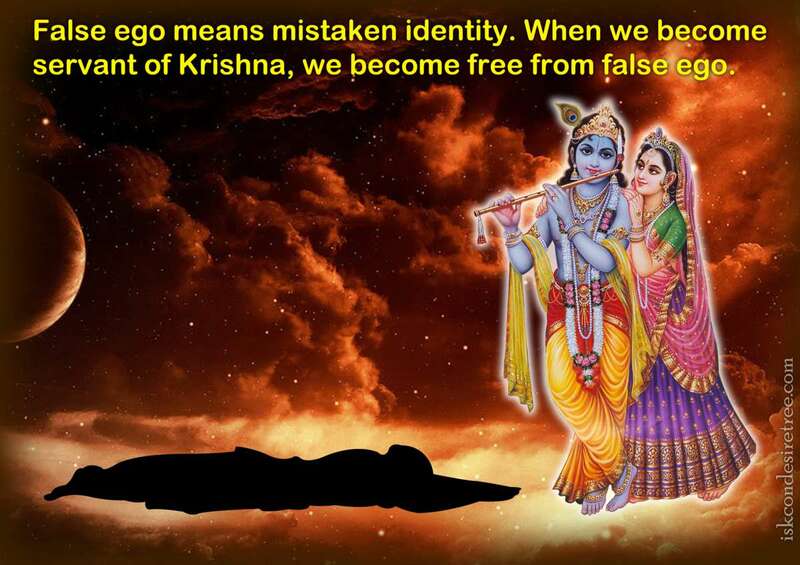 When false ego collapses material contamination is vanquished.